Alaska’s fiscal crisis is mostly in the mind and ideology of Gov. Mike Dunleavy and his transplanted cohorts, who seem to be disciples of Ayn Rand, the priestess of anti-altruism. Essentially, their belief is that the private sector can do no wrong and the more that government does to privatize its fiscal assets (the Permanent Fund dividend being a priority), resource wealth and responsibility to its citizens (as in the case of Alaska Psychiatric Institute), the better off the economy will be. In turn, they believe we as citizens of the economy will be better off and not need as many government services. If this massive governmental and social remake creates a situation where the state hasn’t enough revenues to for pay this plus agency operations, the conservative go-to solution is to reduce the budget for state-provided services. This is the crux of our current debate. Now, as campaign promises become more clear, true Alaskans (those who care about the welfare of their neighbor as well as themselves) are questioning Dunleavy’s pillars of progress. 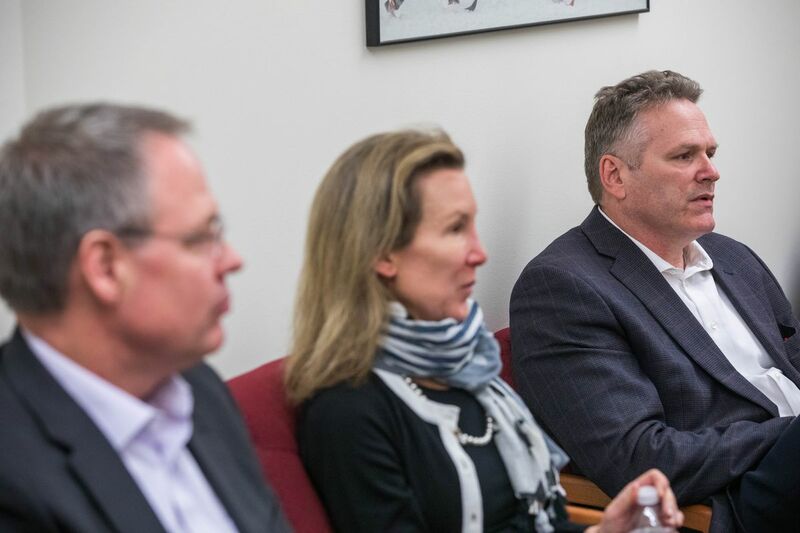 They acknowledge that government services need to strive for better efficiencies, but ask whether Dunleavy’s approach is throwing out the baby with the bathwater. Efficiency should not mean doing without. Rather than seeing our economy as just a private-sector pogo stick, they recognize that a balanced economy is a stable three-legged stool with healthy private, public and nonprofit sectors. Each of these sectors has unique advantages for serving us, and the best balance is a good match between the sectors and our societal needs. It’s apparent that many Alaskans don’t see state government as this evil, ever-spending monster as portrayed by the governor. They realize that the state might be the more appropriate choice to provide some services we seek, or even need. This particularly applies to situations that might be considered “market failures” due to lack of economies of scale (rural communities); they are not attractive to private-sector investment. Many Alaskans speaking out acknowledge that these services need to be paid for, at least in part, by the public — even if that means more revenues. It’s more fair than an obsession over what is efficient. 1. Reduced Permanent Fund dividend: The fiscal austerity facing all state agencies should be shared by the PFD payment. 3. Progressive income tax: A progressive income tax, in tandem with the PFD, provides a fair balance between aiding those who are financially struggling and applying a “user fee” for state services. It is also a mechanism to ensure that nonresident workers also pay something for their use of state services and resources. A combination of these alternatives would not necessitate severe cuts to agency operating budgets in order to balance the budget. However, in the Dunleavy mindset, it would not result in less government, which is his quest. But if it provides the type of society most Alaskans seek, who cares about labels? Gov. Dunleavy’s proposed budget came out of the chute like a charging bull. But the Legislature has heard the public outcry over drastic budget cuts. Consequently, the House Finance Committee has decided to set aside the governor’s budget and instead use last year’s budget for their deliberations. Considering that Dunleavy’s budget is the centerpiece for his ideology and it tripped badly coming out of the chute, it leaves one to wonder what he will be doing the next three years? George Matz lives in Homer. He has experience in the private, public and nonprofit sectors. In his career as a state employee, he was a budget, policy and project analyst. George Matz, who lives in Fritz Creek, has experience in the private, public and nonprofit sectors. Before retiring from the state, he worked as a budget, policy, and project analyst as well as special assistant and legislative aide.